I had the opportunity to taste a very unusual and interesting wine recently, a wine made from ungrafted, pre-phylloxera vines. Something that I have had the opportunity to taste only a handful of times in my life. My initial thoughts were that this wine was on the decline and the fruit faded. However, I paused and began to think. Maybe this is exactly what the wine is supposed to be like. Is this the way wines tasted in Europe before the devastating effects of the Phylloxera louse more than a century ago? Very rustic, earthy and tannic? Where was the “fresh” fruit we look for in today’s wines that help create balance? Is this the way this wine should be? Or, had it seen better days? I am afraid I don’t know the answer to this. 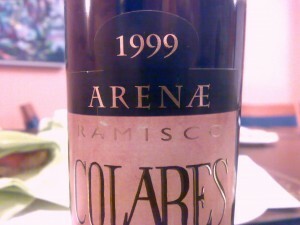 From my research these wines need extensive ageing, so assuming this bottle was stored correctly (should I assume this? ), then maybe this is the way wines used to be. 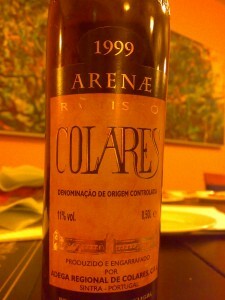 Maybe some of you out there have tasted a Colares DOC wine? 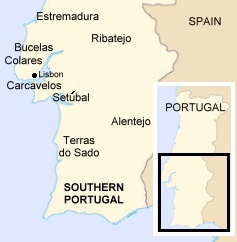 I suppose I should try and get my hands on a few more bottles to make my assessment, but since very few bottles make it out of Portugal’s Colares region, I may have to wait until I take a trip to Portugal!